Join the 9,000+ homes powered by solar. The Prarie State doesn’t just have sports teams to cheer for. As of 2016, Illinois has enough solar capacity to power 9,500 homes, which is a great step forward for cost savings and the environment. Over the next five years, the state plans on installing an additional 295 megawatts of solar capacity, so more people can save on utilities. If you live in Illinois and are thinking about going solar, check out the benefits below. Illinois is one of the cheaper states to live in for grid-powered electricity. In a ranking of the most to least expensive, Illinois came in 44th—with an average $87 per month for electric bills. When it comes to the state’s average 11 cents per kilowatt pricing, Illinois is more toward the middle of the pack. What’s the point of knowing all of this? To show you how solar can save you money if you install solar in Illinois. Most solar installations cost $11,200 to $14,400, but that comes out to three to nine cents per kilowatt. You can get a quote from a top solar company to find out your house’s potential savings, and use our cost calculator to estimate this yourself. The federal government is making it more affordable for customers to install solar. 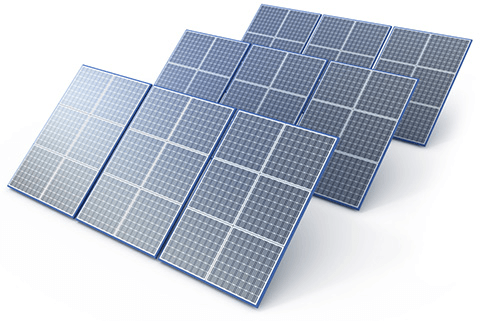 If you buy your panels, you’re able to cash in on a 30 percent tax credit. While this isn’t available for those who lease, have solar PPAs, or sign up for financing, it’s a great incentive for those who buy. We mentioned that homeowners in Illinois have 98 local solar incentives. Browse the list to see how much more you can save on solar in your neighborhood. If your solar panels produce excess energy, you can get utility credits from your electric company. This is another way solar can put money back in your pocket while helping the earth. Out of Illinois’ 294 solar companies, there is one outlier: SunPower. SunPower is by far the most innovative, advanced, and modern of any in the industry. Over the past 30 years, SunPower has filed 600 patents for solar technology, set a world record with its solar-powered plane, Solar Impulse 2, and created solar panels that produce 55 percent more energy than conventional models. The good news keeps coming, too. SunPower has a sleek design that blends solar panels into your roofline. And since the panels are so much more efficient, you won’t need as many on your home. This translates to big savings and aesthetic appeal. 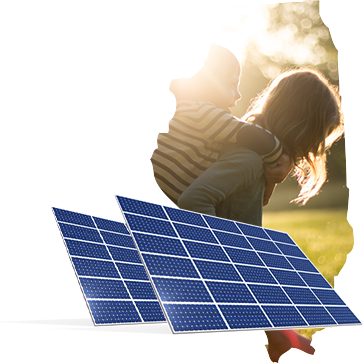 So if you’re thinking of going solar, SunPower is one of the best options for homeowners in Illinois. Illinois is working hard to go green. Its renewable portfolio standard set a goal of generating 25 percent of energy from renewable resources by 2025. Other states are a bit more aggressive and are striving to source 50 percent in the same timeframe, but it’s still positive to see Illinois on track to save homeowners money and the environment. The Prarie State is working to install 295 additional megawatts of solar capacity by 2020. Illinois spent $24 million installing 11 megawatts of solar capacity in 2015. Illinois installed the 27th most solar capacity in the U.S. in 2015. In 2015, Illinois grew its solar capacity by 75 percent from 2014. Illinois has the 27th most solar capacity in the nation—65 megawatts. This group regulates utility companies in Illinois. Check out the website to get contact information, learn about upcoming issues for solar, and more. See how pending laws can impact your solar savings, and find out how you can get involved. Learn about state energy programs and more. Search for local solar incentives. See nationwide energy information and specific data about Illinois energy usage.